Sadly, most of us know someone who has been a victim of a crime, or we may have been ourselves a target. If you are the victim of a crime, you are not alone, and there are ways you can get assistance. If you are a victim of investment fraud, you may be coping with the aftermath of a compromised identity, damaged credit, and financial loss, as well as a painful range of emotions including anger, fear and frustration. The toll of financial fraud may extend well beyond lost money. A study funded by the FINRA Foundation found that nearly two-thirds of fraud victims experience at least one severe emotional consequence—including stress, anxiety, insomnia, and depression. Very often perpetrators will dispose of your money immediately after taking it, so you may never get your money back. However, your recovery is about more than lost money. It's about protecting your future financial health and assets and finding ways for you to recover emotionally from the crime. 1. Create an investment fraud file. Start by collecting all relevant documentation concerning the fraud in one file that's kept in a secure location. The file should include a contact sheet of the perpetrator's name, mail and email addresses, telephone numbers and website address. Also include the fraudster's purported regulatory registration numbers, if they were provided to you, and a timeline of events, which may span many years. Your file should include the police report, if any, and any call notes or relevant documentation about the fraud. And add one more important piece of information: your most recent credit report from all three credit reporting companies. 2. Know your rights. Federal and, in some cases, state law give rights to victims of crime. Learn about your rights to better protect yourself. On the federal level, the U.S. Department of Justice (DOJ) provides information on victim rights and financial fraud. 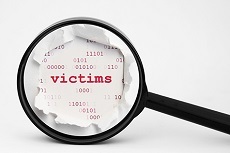 In addition, check out the DOJ's Office for Victims of Crime's (OVC) brochure, What You Can Do If You Are a Victim of Crime, which provides an overview of crime victim rights, and where you can get help. U.S. Securities and Exchange Commission: (800) SEC-0330 or file a complaint. FINRA: (844) 57-HELPS or file a tip. North American Securities Administrators Association: (202) 737-0900 or www.nasaa.org. National Association of Insurance Commissioners: report fraud or file a complaint to your state Commissioner. National Futures Association: (312) 781-1467 or file a complaint. U.S. Commodity Futures Trading Commission: (866) 366-2382 or file a tip or complaint. Internet Crime Complaint Center (a partnership between the FBI and the National White Collar Crime Center): www.ic3.gov. It may also be helpful to file a report with the Federal Trade Commission (FTC), by contacting the FTC's Complaint Assistant at: (877) FTC-HELP or go to www.ftccomplaintassistant.gov. Lodging a complaint will enter the fraud into the Consumer Sentinel Network so that law enforcement can stop ongoing fraud and track these crimes. This process, however, will not initiate a criminal investigation of your case. District Attorney—Contact your local District Attorney's Office. Attorney General—Contact your state's Attorney General's Consumer Protection unit and the prosecution unit to report the fraud. Federal Law Enforcement—Contact your local FBI Field Office or submit an online tip at http://tips.fbi.gov. 6. Follow Up. Review the steps you've taken and follow up after 30 days with any law enforcement agencies or organizations that serve victims. Here's a final sobering reality. If you have been already been a victim of investment fraud, you are more likely to be re-targeted, perhaps for a different investment fraud. Be on your guard. You can learn more about spotting the red flags of fraud by going to the Avoid Fraud section of FINRA.org/investors.